Fresh produce, open-range eggs, local pastries, citrus straight from the farm — the options at farmers markets are enough to make anyone hungry. Not only are these products healthier and more flavorful than what’s found at typical grocery stores, they’re sold at fair prices. Farmers markets provide an outlet for consumers to buy food directly from the people who did the harvesting. It’s a mutually beneficial process that allows local growers to make money while engaging the community in a great social atmosphere. 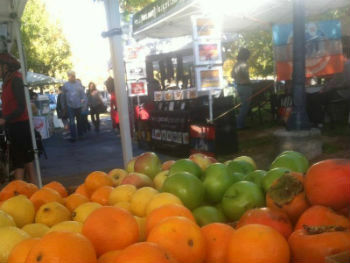 Las Vegas hosts a variety of excellent farmers markets held in various locations across the valley. They range from traveling outdoor markets that sell food and crafts to indoor emporiums with cooking classes and more. 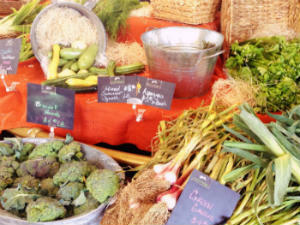 Some markets feel more like small festivals, and all of them offer great food that’s free of pesticides and chemicals. There are currently five farmers markets that are open for business Wednesday - Sunday every week. Whether you’re in the outskirts of town or staying on the Strip, chances are there’s a farmers market coming soon to a site near you. Established in 1998, the Las Vegas Farmers Market is the oldest continuously operating farmers market in the city. Co-sponsored by the City of Las Vegas, these outdoor markets offer seasonal foods from farmers across Nevada and Southern California. 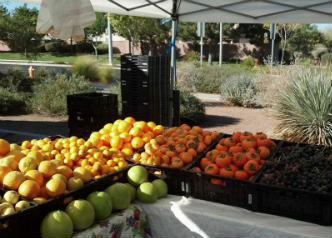 The Las Vegas Farmers Market is held at three locations: Bruce Trent Park in Summerlin, Gardens Park in Summerlin South and Floyd Lamb Park at Tule Springs. The market at Bruce Trent Park is held every Wednesday 4 p.m. - 8 p.m. In addition to various tents set up for produce, fruits and freshly baked breads, there are booths for handmade crafts and custom jewelry. Food trucks sell pre-made Venezuelan arepas or snow cones. Since this market is held later in the day than most, it’s great for stopping by after work when the Vegas heat dies down. The size may range from just a few vendors to several tents stationed around the park. The selection depends on what's in season and which farmers set up at the market. Gardens Park hosts the market every Thursday 4 p.m. - 8 p.m. Like the previous day’s event, this open-air market is held weekly throughout the year as long as weather permits (hours may vary in winter). Unlike the other two Las Vegas Farmers Markets, this one is co-sponsored by the Summerlin Council and is easily accessible for those in the southwest corner of town. On the first and third Saturday of every month, the Las Vegas Farmers Market heads up to the northern edge of the city at Floyd Lamb Park. The market is open 10 p.m. - 2 p.m. and often features rides and other attractions for children and families. Floyd Lamb Park is a state park lush with plant life and natural water springs. Admission to the park is usually $6 per car, but that is waived for those attending the farmers market. In addition to locally grown blood oranges, asparagus, squash, pumpkins and more, guests will see swans, ducks and peacocks roaming throughout the park. The old bus depot within the Downtown3rd district plays host to Las Vegas’ largest indoor farmers market. Centrally located right next to the Mob Museum, the Downtow3rd Farmers Market is open every Friday 9 a.m. - 3 p.m. As perhaps the trendiest outlet for locally grown foods, this market is especially popular among Las Vegas chefs. Some of the featured produce eventually becomes ingredients used at Strip restaurants. 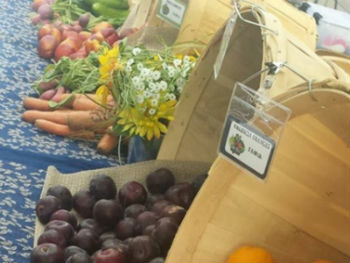 Opened in 2012, this market aims to connect local farmers with the community. Popular products include mixed spices, jams and pre-made sandwiches. The repurposed bus depot is great for those who like air conditioning and acoustic music while they shop. Cooking classes and other activities are also held while the market is open. Like most of Las Vegas’ other farmers markets, the vendors at the Fresh 52 events will let you sample their fruits or pastries before you buy. This way you’ll know you’re getting something tasty while supporting local farmers. The Fresh 52 farmers markets are held every Saturday 9 a.m. - 2 p.m. at Tivoli Village in Summerlin and every Sunday 8:30 - 1 p.m. at Sansone Park Place in south Las Vegas. Stop by for some morning shopping before cooking a special weekend dinner. These markets can get crowded on some weekend, so arrive early if you can. Otherwise, you may be fighting other consumers for picks of the best vegetables. Visitors to the Conners Farmers Markets can rest assured that the food they’re potentially purchasing was grown by the person selling it. Every farmer is required to have a “growers certificate,” which shows that they personally grew the product — not an outside source. This focus on food and health education permeates the Conners Farmers Markets. Visitors are encouraged to ask vendors questions about the nutritional and flavor benefits of their food. The market will reopen after Labor Day and will be held every Thursday 9 a.m. - 1 p.m. at Sam’s Town Hotel on the Boulder Strip and Thursday 4 p.m. - 8 p.m. at The District in Henderson. The farmers market at Sam’s Town is more chef-driven, allowing larger orders to be filled for local restaurants. Farmers market lovers in Henderson, you need not worry. Your city has you covered too. 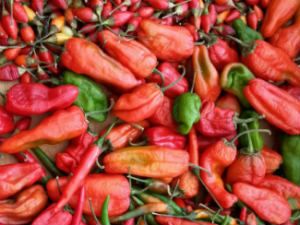 The Country Fresh Farmers Market is held every Thursday 9 a.m. - 4 p.m. outside Henderson City Hall and every Friday 10 a.m. - 4 p.m. at the Henderson Pavilion. Items for sale include organic fruits and vegetables, kettle corn, muffins, pasta and even dog chews. Selling food and other products at farmers markets can be a great way for small family-operated businesses or farms to make money while serving the community. All of the markets have an application process and are generally welcoming to new vendors. A business license is not required; however, a Clark County Health Department Card and an approved tent/facility with product liability insurance is required. Since the arid climate of Nevada can be pretty tough on crops, many farms from Southern California and Utah make the 4-hour trek to the Las Vegas to sell their goods. These farms often operate tents at multiple markets throughout the week. No matter where the farmers originate, the community spirit among local consumers is high.